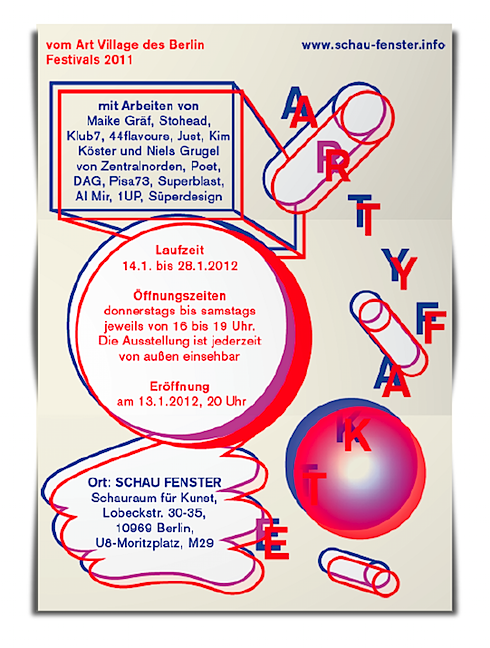 This exhibition was the result of our painting session for the Art Village Berlin 2011. Every participating artist had to cut out a 90×150 cm piece out of a 280×600 cm canvas. These visual extracts were on display at the Schaufenster Gallery. What was beautiful about the exhibit, was how all of these pieces taken out of context took on completely new meanings when shown side by side.